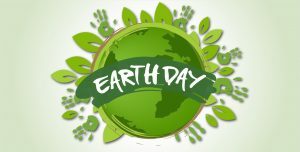 Help us celebrate Earth Day Weekend at the Garden Center on Saturday, April 20th! We will have great specials and discounts going on throughout the day in the Garden Center. What’s the Catch Food Truck will have Fresh Fish Tacos, Shrimp and much more available for purchase from 11-4. We will also have complimentary beer and sangria! The 1st 20 customers receive a FREE rosemary plant. All paying customers will receive a FREE 3″ succulent. We will also be having our first annual Rockaway Easter egg hunt to Celebrate Easter Weekend. One lucky winner who finds the golden egg gets a $500 shopping spree for anything in the garden center. Over 300 eggs will be hidden throughout the Garden Center. Kids will enjoy treats and adults will enjoy money saving opportunities!